Linwoods Shelled Hemp is soft, full of flavour with a rich nutty texture and is nutritionally dense to support a balance diet and active lifestyle. Scrumptious when added to porridge or sprinkled onto a salad. Stir into yoghurt or for something a little more fun, add as a healthy topping to ice-cream! 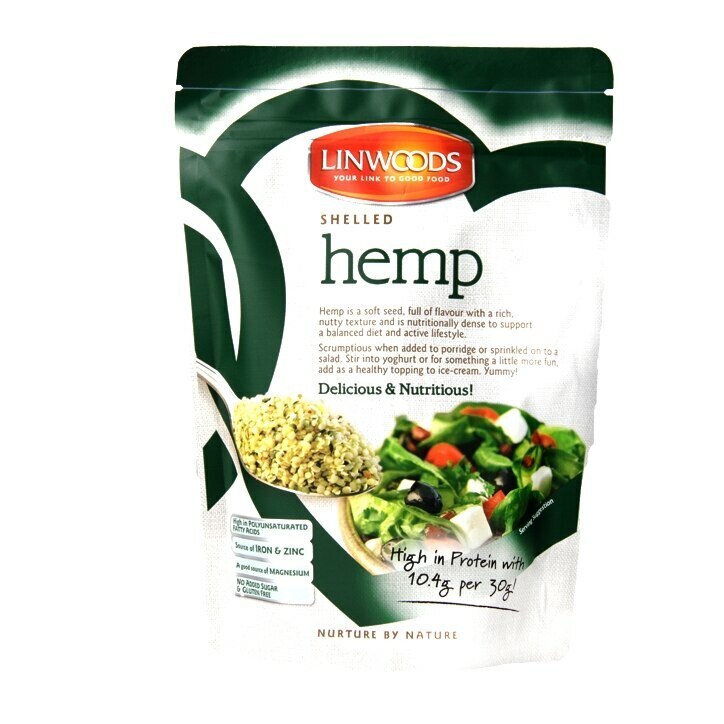 Containing the essential fatty acid Omega 3, Linwoods Shelled Hemp is high in protein containing the full spectrum of the amino acids our bodies cannot produce, making it a great protein alternative for vegetarian and vegan diets. It's also a good source of Magnesium, for healthy bones and teeth and aids in proper muscle function, nervous system function and energy metabolism. Linwoods Shelled Hemp is rated 4.9 out of 5 by 55. Rated 5 out of 5 by Maggie49 from The best I’ve tried I’ve bought cheaper versions of shelled hemp and nearly cracked my teeth. This is the only one I’ve found that is properly without shells. Rated 5 out of 5 by Lea88 from Tastes great I love the nutty taste of the hemp seeds and they are fine enough to mix into pasta sauces or sprinkle on to salads.